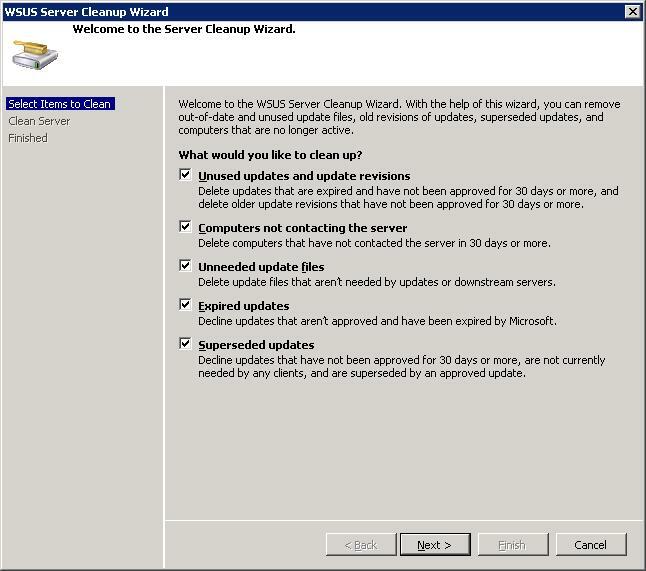 In certain circumstances, when using WSUS (Windows Server Update Services) in your environment, you may wish to deploy a critical Windows update sooner than your scheduled installation window. Personally, I would excercise extreme caution using this setting due to the gotchas outlined at the end of this post. However, this can easily be achieved by setting a deadline for installation when you approve the update or updates. 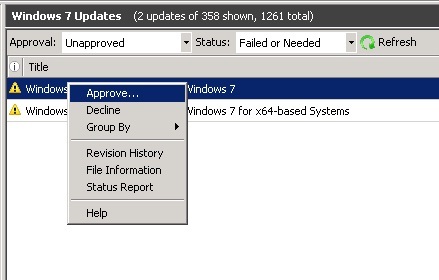 In the WSUS console simply select the update or updates, and then right click them and choose ‘Approve …’ as shown. Thats it, your update will now be installed at the time that you have set. There are a couple gotchas using this setting that it is worth being aware of. Firstly if the update with the deadline requires a restart, the computer will reboot after installation regardless of what the user is doing at the time. It is therefore probably best to avoid deadline times in the middle of the working day when users may suddenly find their computers reboot with little or no warning causing them to lose work. 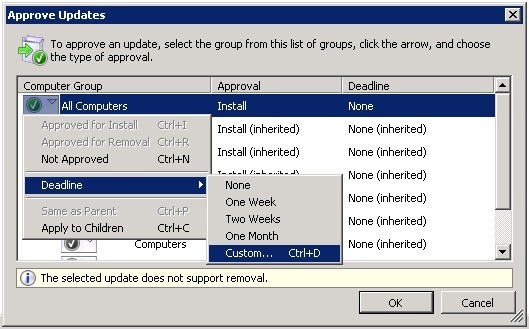 Secondly, a deadline will override the ‘No auto-restart with logged on users for scheduled automatic updates installations’ Group Policy setting, so again be careful if you have this GPO setting enabled, as you may not expect your computers to reboot, but they will in this case.